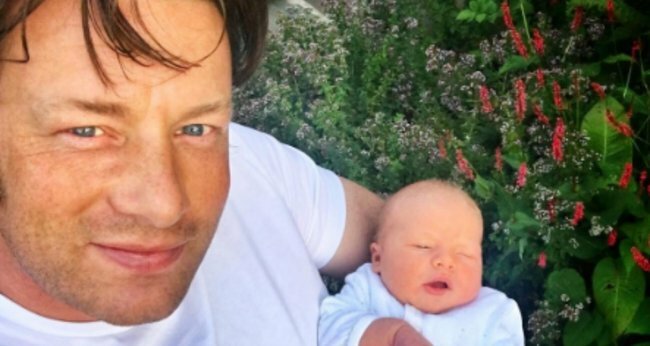 Jamie Oliver new baby shares an adorable snap. Jamie Oliver just hacked his wife's social media for the most adorable reason. Jamie Oliver has shared an adorable snap of his new baby with wife Jools just days after announcing the birth. Posting on his wife’s Instagram account, Oliver penned a loving tribute to his wife and mother of five children. “Hacked mum’s Instagram account,” he began. “Bless them both sleeping and exhausted together, I can’t tell you what a wicked mum this chick is. @jamieoliver hacked mums Instagram account ???? bless them both sleeping and exhausted together I can’t tell you what a wicked mum this chick is…. I had the best week off readjusting to the new family member a baby boy and I’ve loved every single minute….everyone has grown and adjusted…. Big love to all the mums out there it’s hard graft amazing. Happy weekend people and when Jools finds out I hacked her account all I can say is I love you joxxxxxxx ❤️???????????????????????????????????????????????????????????????????????????????? He went on to celebrate the mums of the world, inspired by his wife’s fifth delivery. “Big love to all the mums out there it’s hard graft amazing. Happy weekend people and when Jools finds out I hacked her account all I can say is I love you,” he wrote. The chef has wasted no time sharing pictures of their new baby after announcing the birth just days ago. Since announcing the news on Monday, Oliver has shared three more snaps of his new little one but has yet to formally announce a name. The unnamed little one joins siblings Daisy Boo, Buddy Bear, Petal Blossom and Poppy Honey.